Sometimes we just want a quick way to visualize, and share our spatial data using maps, without the hassle that comes with the whole process. Well your prayers has just been answered……..!! Google and other open source engines are determined to narrow the gap between desktop and online mapping experience. Some GIS Experts are feeling threatened because they feel Google is demystifying their expertise. But personally, I feel it is a wonderful development that must be embraced and celebrated. 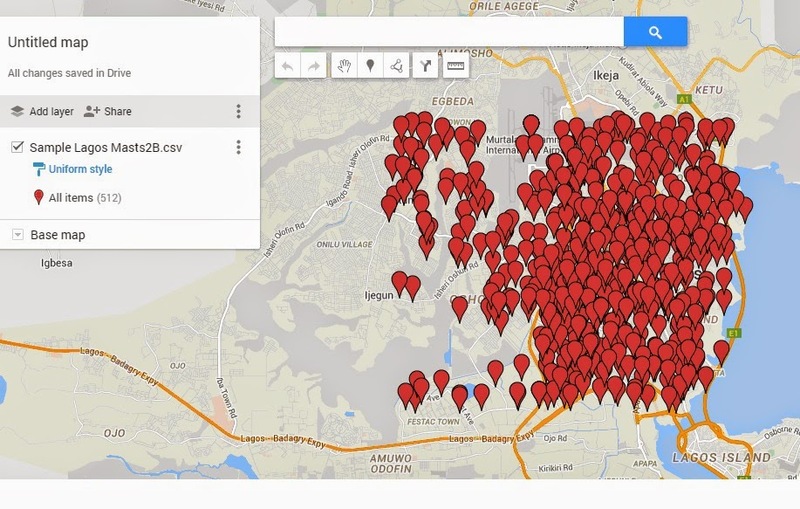 With the introduction of Google’s map engine, it is now possible to publish several layers of map data online and reach a wider audience without investing in expensive desktop GIS applications like ESRI’s ArcGIS and Pitney Bow’s MapInfo. This would further improve the profile of mapping and create extensive awareness for location intelligence. 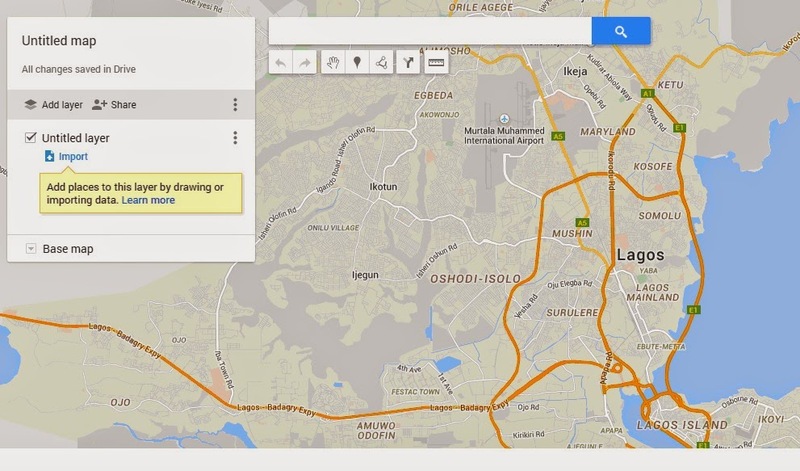 Google Maps Engine is easy to use and you really do not require a formal training to take advantage of its power. 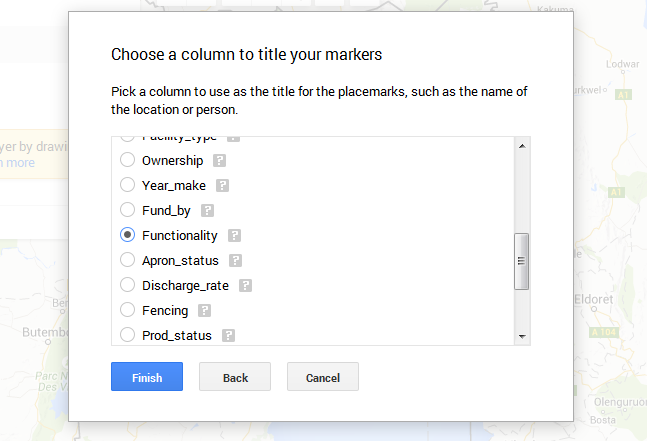 Maps Engine allows users to upload small spreadsheets with locations and visualize them on a map. They can also compare up to three different data sets for non-businesses purposes. These custom maps can have multiple layers, and users who don’t have spreadsheets to upload can also manually draw lines, mark specific areas and set place markers. 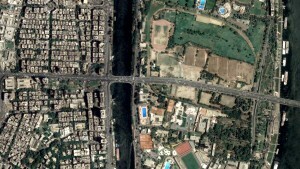 Google offers a total of nine base maps, including its usual satellite and terrain maps, as well as styles that emphasize city boundaries, political boundaries and highways. Maps Engine also offers about 150 different icons that can be used to mark specific places. 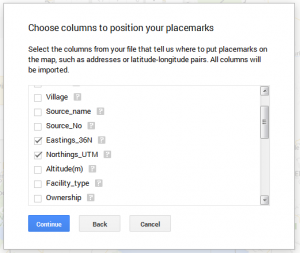 To help new users get started, Google also published a tutorial that offers a few sample data sets and a step-by-step guide to publishing a custom map. 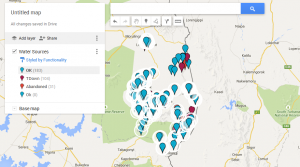 This tutorial is targeting a typical Ugandan map or GIS Analyst and is offering a simple step-by-step approach to publishing a custom map online using Google map as a back drop. You need internet access and a Gmail account to take advantage of the Map Engine. So If you don’t have one yet, this is a good time to create one. Note: Map Engine accepts data in the CSV, XLSX, and KML formats. 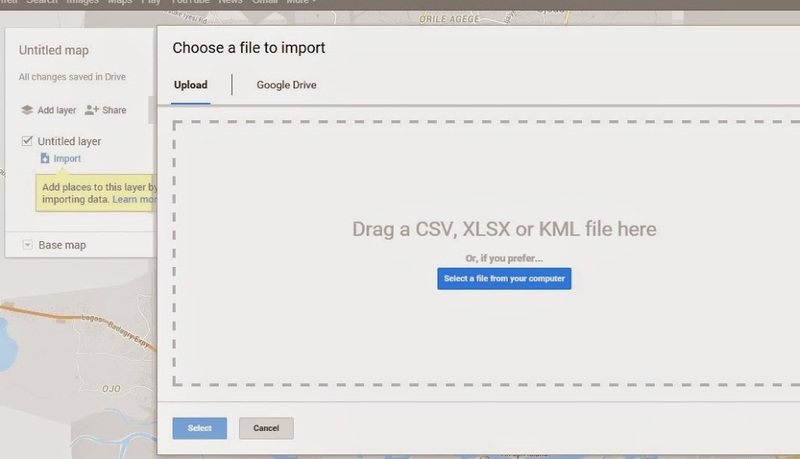 In this tutorial, we shall attempt to bring data in CSV and KML formats. 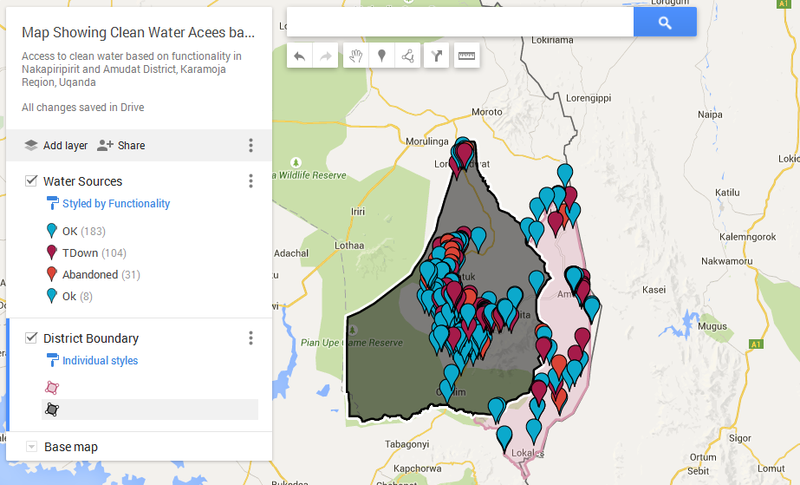 First let us import the Water Sources in CSV format. Click on the “Select a file from your computer” and browse to the file in your local drive. 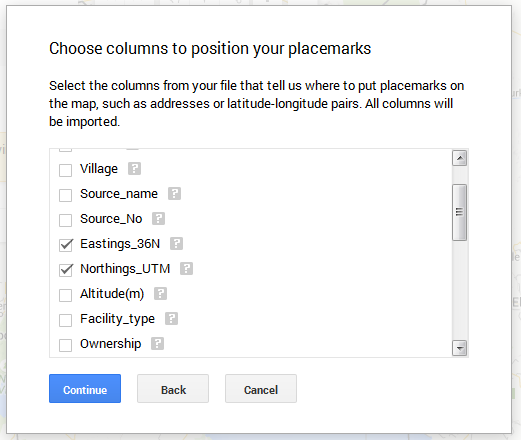 Note: If the file is successfully imported, a new window should open prompting you to select the columns that indicate where to put the placemarks on the map. The next window would prompt you to select the column to use for labelling your point data. In this instance, we’ll use the FUNCTIONALITY column for labelling then click on FINISH t apply this configuration. The next step is to thematically colour the WATER SOURCES based on the FUNCTIONALITY. This should separate the water sources into special classes on the basis of the FUNCTIONALITY. At his stage, you can play around with the colours. To change the colours, place your cursor on each category of Fuctionality e.g. “Abandoned” and click on the symbol appearing by the side of the class to change the colour. Repeat this process for each category of functionality i.e. blue for “OK”, red for “Abondoned”, Maroon for “TDown”. Step 3: We are going to attempt to bring the LGA boundary data as an additional layer. Note: the LGA boundary would have to be brought in as a KML format. To do this, open the LGA boundary data in QGIS in whatever native format it is stored e.g. SHP or TAB and save it as a KML format. Then browse to the file in your local drive. 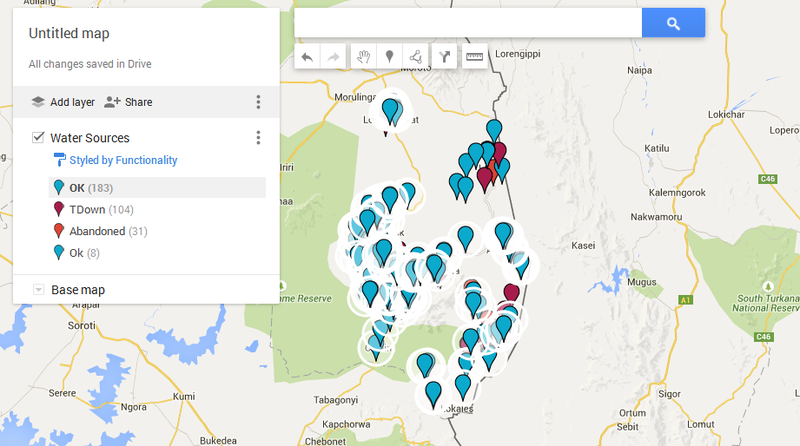 In this case we are importing the LGA Boundary file in KML format. Ensure that the “Uniform Style” is selected. This should add the LGA bundary as another layer to the existing Mast layer. This is how you can add other layers. You can click on any feature displayed on the map to retrieve the “attribution details in a way similar to using the Info tool in ArcGIS or MapInfo. You can also configure the attribute table by restricting what column is included in the info click. You can change the name of eah layer to reflect whatever you want by simply clicking in the layer name and updating the layer name. Take Caution: You must know that it is very easy for you to change the shape of your boundary data or delete it in error. You’ll notice that when you click on each LGA polygon, it displays all the nodes making up the polygone. By dragging the selected polygon could inherently alter the shape of the polygon in error, so be careful. Sharing your map with others. Now comes the interesting part:You can share your map with a wider audience without the need to buy or invest expensive software. 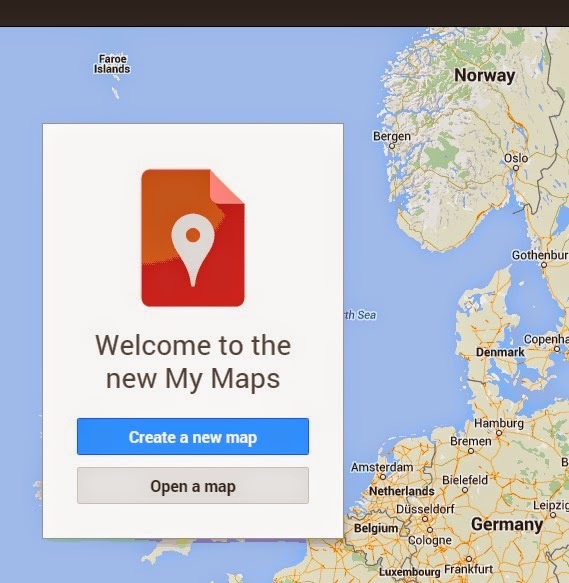 To share your map, simply click on the SHARE icon right above the first map layer in your map. 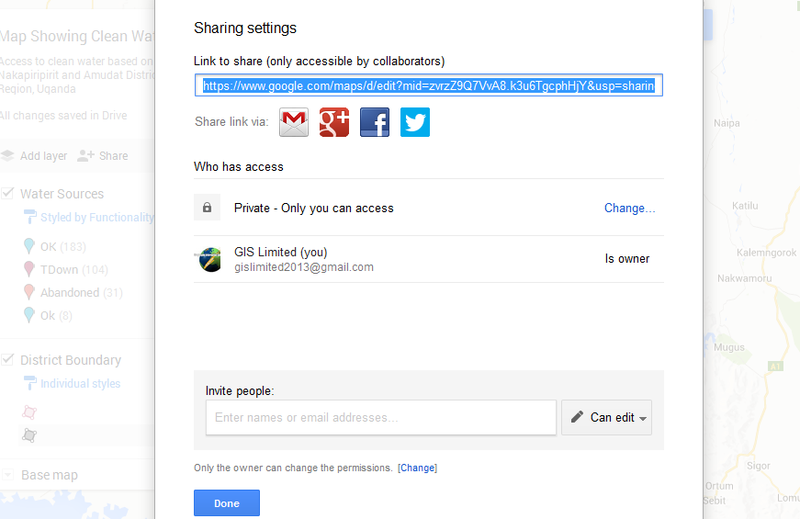 2.Who Has Access: This provides a powerful option to restrict who has access to your map data. In this instance, we are restricting access to specific individuals that we send the link. Remember whoever receives this link would have READ ONLY access to your project file. This means that nobody can alter or update your project file without your consent. Caveat: I must place on record that it appears Google is discontinuing support for Google Maps Engine starting 2016. So if you are seriously contemplating a move to Google Maps Engine, it is important that you bear this ominous fact in mind. Please visit the link for more great tutorials. You’re so cool! I don’t think We have read anything this way before. These are generally genuinely wonderful ideas in about blogging. You might have touched some fastidious points here.